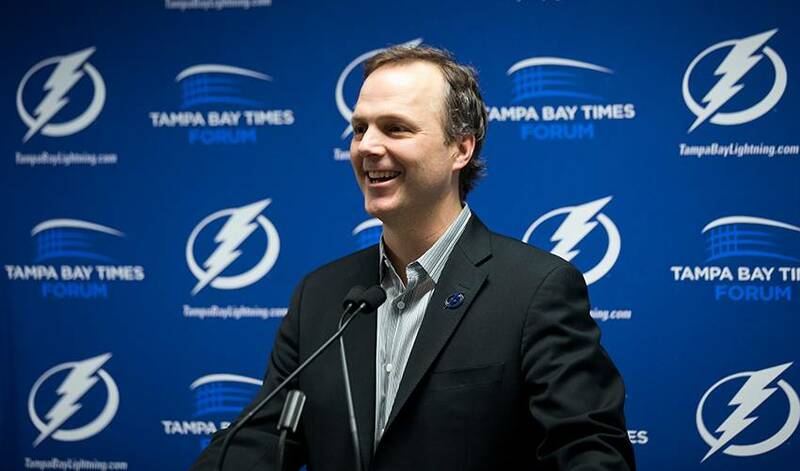 The Tampa Bay Lightning have signed head coach Jon Cooper to a multi-year contract extension, the club announced Tuesday. TAMPA, Fla. — The Tampa Bay Lightning have signed head coach Jon Cooper to a multi-year contract extension, the club announced Tuesday. A native of Prince George, B.C., Cooper has been behind the Tampa bench since March 2013 and is currently the longest-tenured coach in the NHL. Cooper's record with the Lightning stands at 301-157-44. He's led the club to the Eastern Conference final three times, including a trip to the Stanley Cup in 2015. Tampa claimed the franchise's first Presidents' Trophy for the NHL's best regular-season record earlier this month. The Lightning, who sit with a record of 59-14-3, are also within striking distance of the league's single-season wins mark of 62 set by the 1995-96 Detroit Red Wings. "(Cooper's) ability to forge impactful relationships with everyone from players to staff has been a trademark of his tenure with the organization," Tampa general manager Julien BriseBois said in a statement. "Coop's ability to develop a strong culture while continually adapting has been a big part of the team's success. "He has helped set high standards for our organization with his unrelenting drive for excellence." As he makes his Stanley Cup Playoffs debut in his first season with the Tampa Bay Lightning, get to know Czech blueliner, Jan Rutta! Nikita Kucherov capped his record-setting year with his first career Art Ross Trophy along with a single-season scoring record for a Russian-born player. Tampa’s talented right wing and the NHL’s leading scorer, reeled off four consecutive multi-point games over the past week, and also lit up the scoresheet with five points last night. Louis Domingue continued to do his part to help his league-leading Tampa Bay Lightning (23-7-1, 47 points) to a perfect week while extending his personal winning streak to a career-high five games. What do you get when you rack up a trio of trips to the sin bin in your first U.S. collegiate hockey game? For Ryan McDonagh, it was a sheepish look and a new nickname. Brayden Point was determined to make a point when he was added to the Team Orr squad. And did he ever.